OnePlus has some plans for the upcoming Mobile World Congress 2019. No, the company isn’t launching the OnePlus 7 or the OnePlus 7T. OnePlus is gearing up to showcase its first ever 5G phone at the MWC 2019 event. OnePlus has now invited the media to experience the company’s prototype 5G smartphone at Qualcomm’s booth at the event. The OnePlus 5G prototype phone will be running on a fully functional network. OnePlus hasn’t officially talked about the showcasing of the 5G phone, but the words noted in the media invite reveals hints at it. The invite notes “5G gaming” which clearly hints at the OnePlus 5G phone. Reports suggest that at the MWC event OnePlus will just showcase the 5G phone and will officially launch the device later in the year. It is fully possible the company may showcase a 5G variant of the OnePlus 6T like how other manufacturers are doing currently. The words noted in the media invite hints that the OnePlus 5G phone may be targeted to the gamers out there or mostly the power users. 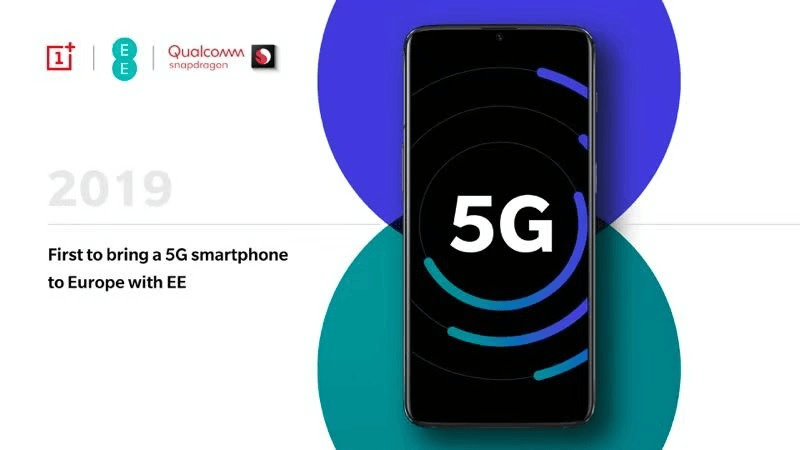 To recollect, OnePlus CEO Pete Lau announced the coming of a 5G phone at Qualcomm Snapdragon summit where the chip maker launched the Snapdragon 855 SoC which is going to power most flagships this year including the most anticipated Samsung Galaxy S10 and S10+. Even the OnePlus 7 and the OnePlus 7T are said to be powered by Snapdragon 855 chipset but will be based on X24 modem. The OnePlus 5G phone will be based on Snapdragon X50 5G modem. In 2019, OnePlus is expected to launch three phones, the OnePlus 7, the OnePlus 7T and the OnePlus 5G Phone. The company has previously confirmed that OnePlus will be among the first ones to launch a commercial 5G phone. Reports suggest that OnePlus may launch the OnePlus 5G in the first half of this year. As of now, there’s no report whether or not the OnePlus 5G phone – the company is yet to come up with a name for it – will come to India. For now, what we know is the OnePlus 5G phone will be launched in Europe in collaboration with telecom operator EE.